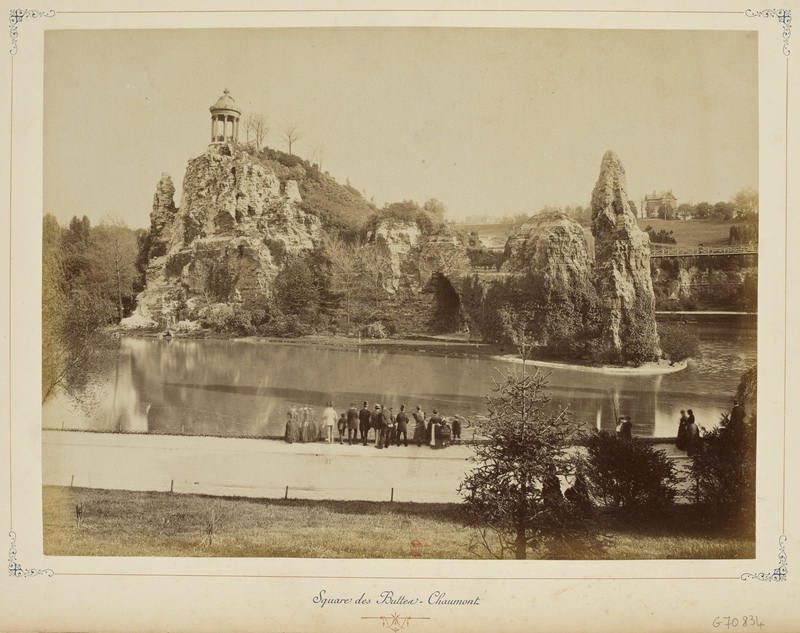 Thus Louis Aragon and co. venture out from the arcades and the cafes, not to Montparnasse in the end, but to Parc des Buttes-Chaumont, where they spent an evening of adolescent adventure as winsome as schoolboys. I have heard similar stories of alcohol-fueled adventure from my brother Dan and his co, which almost admits Aragon into the family as it were, but this installment of Paris Peasant offers not simply rather sweet hijinks to end his evocations of Paris life, but gardens as well [more on the rest here]. The history of the park reveals it is a yet another creation of Haussman…a curious success it would seem, and the politics of that not lingered over here.